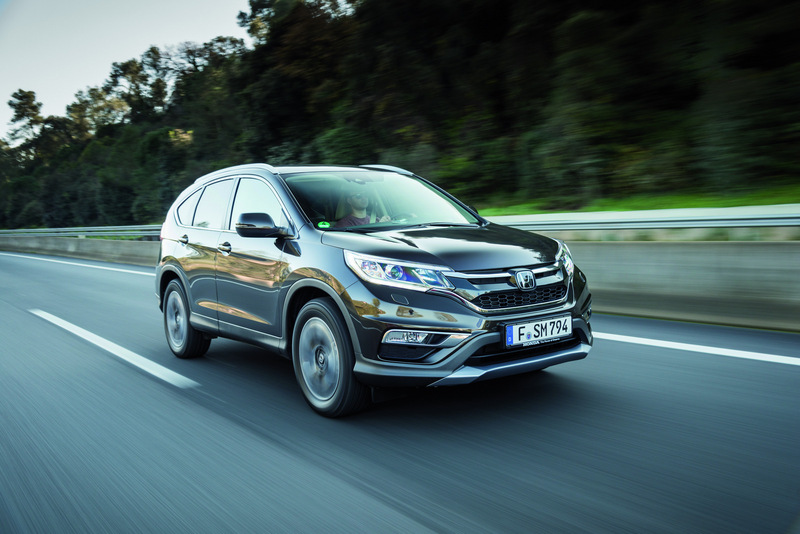 Honda has released full details and new photos of the European-spec CR-V SUV which goes on sale this spring. 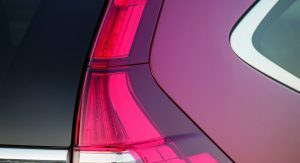 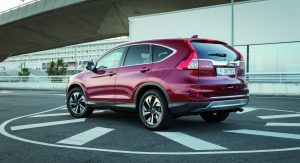 The refreshed model gets mild design updates, a new diesel engine and optional 9-speed automatic transmission, new safety and connectivity systems, as well as an enhanced suspension. 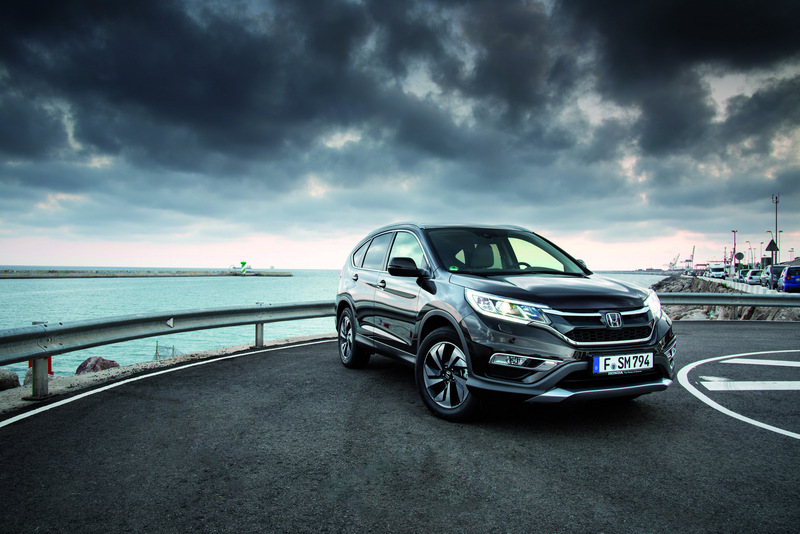 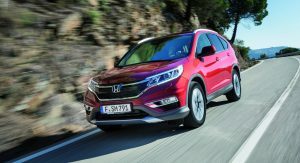 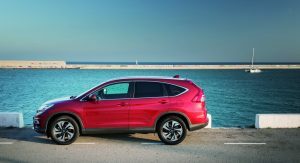 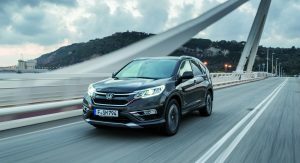 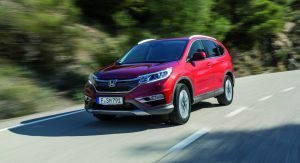 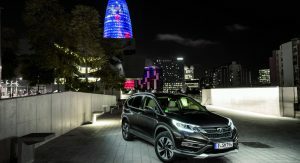 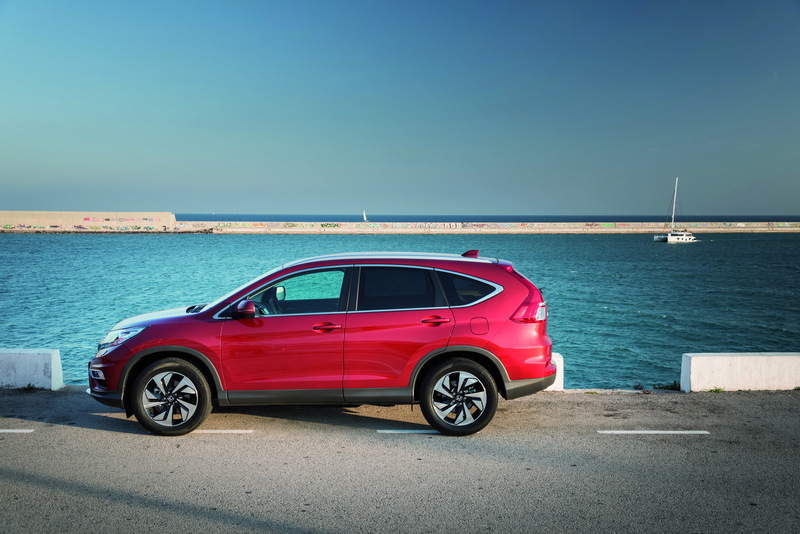 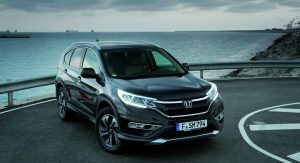 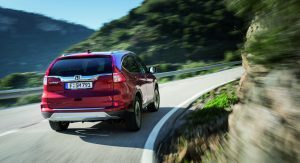 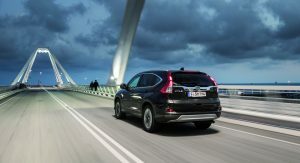 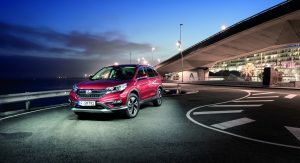 The main highlight of the Honda CR-V facelift is the new 1.6-liter i-DTEC four-cylinder turbodiesel engine that produces 160PS (158hp) and 350Nm (258lb-ft) of torque, offered with an optional 9-speed automatic transmission that helps reduce fuel consumption compared to the previous 5-speed auto. 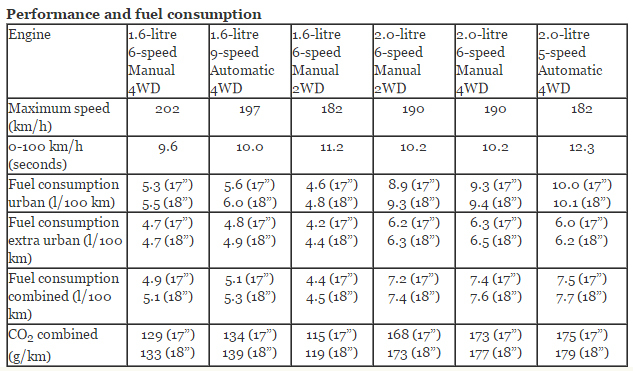 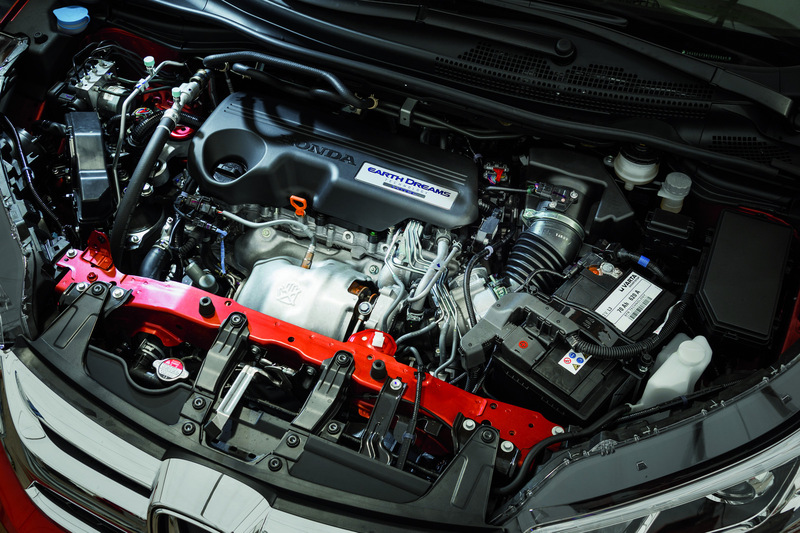 Replacing the 2.2-litre i-DTEC diesel unit, the new Euro 6-compliant engine is said to deliver “the best power-to-consumption ratio available in its segment,” a bold claim that’s supported by the official fuel economy figures. 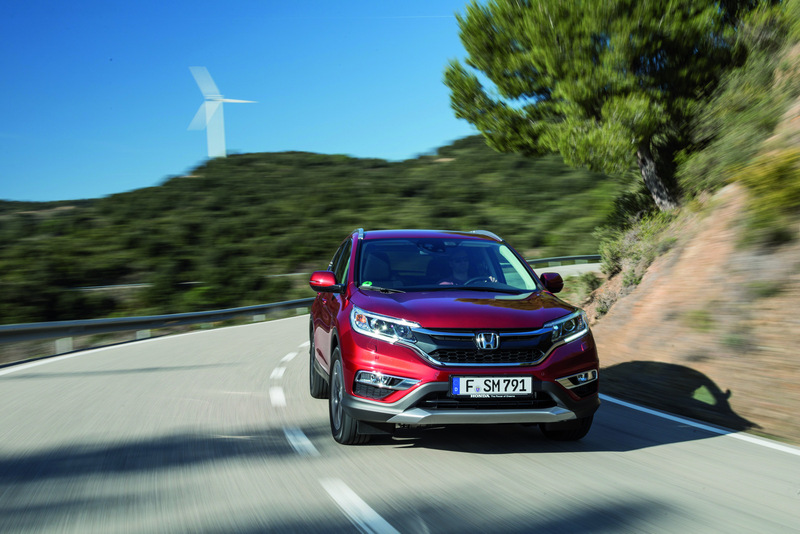 With the standard six-speed manual and four-wheel drive, the 160PS diesel averages 4.9 l/100km (48 mpg US), with CO2 emissions of 129 g/km. 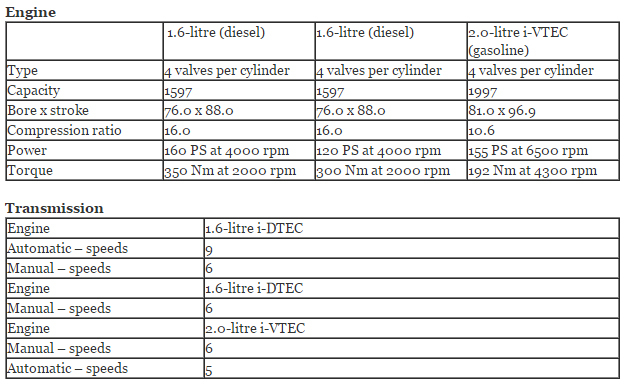 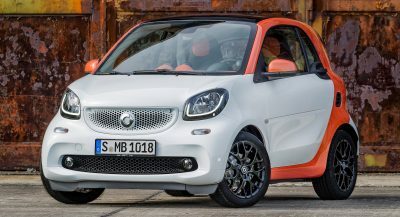 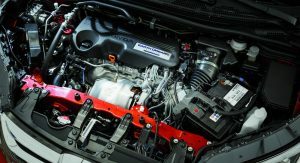 The 1.6-liter diesel unit is also offered in a lower state of tune producing 120PS (118hp), which averages 4.4 l/100 km (53.4 mpg) with the six-speed manual transmission and 2WD. 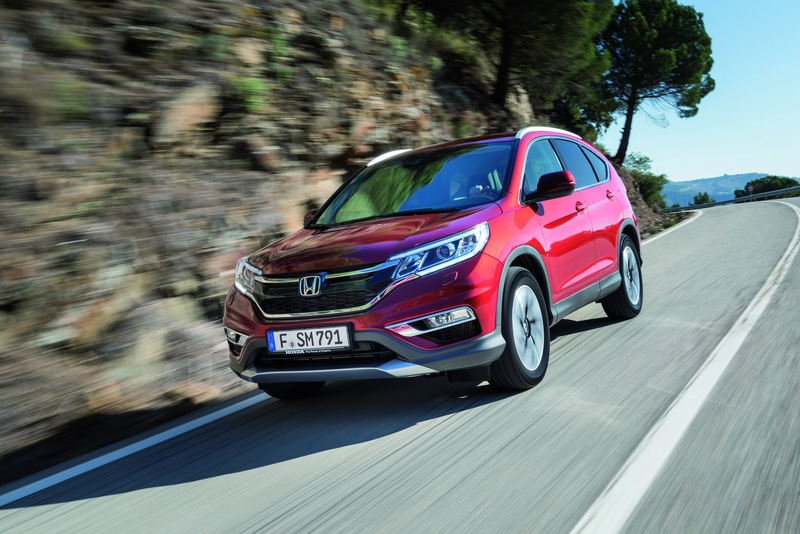 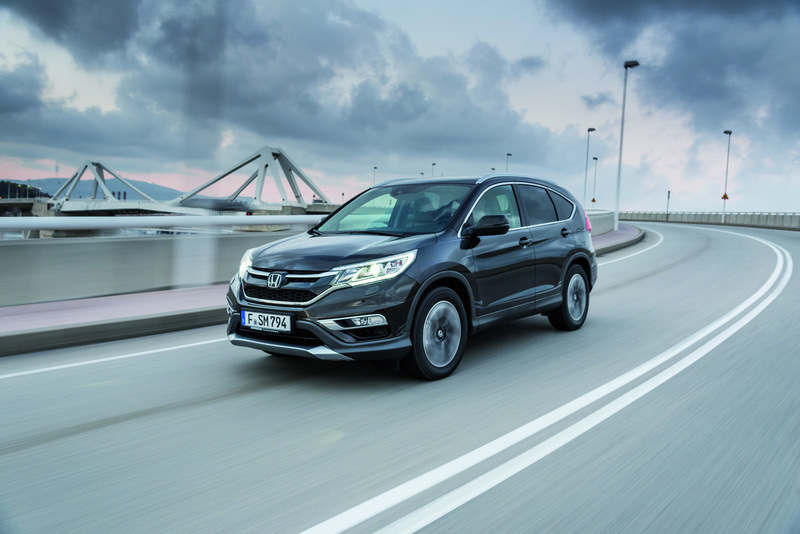 Honda expects diesel engines to account for more than 60 percent of European sales. 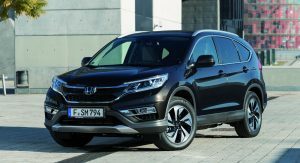 Honda also offers a 2.0-liter i-VTEC petrol engine that produces 155PS (153hp) and averages 7.2 l/100 km (32.6 mpg US) with the six-speed manual gearbox and 2WD. 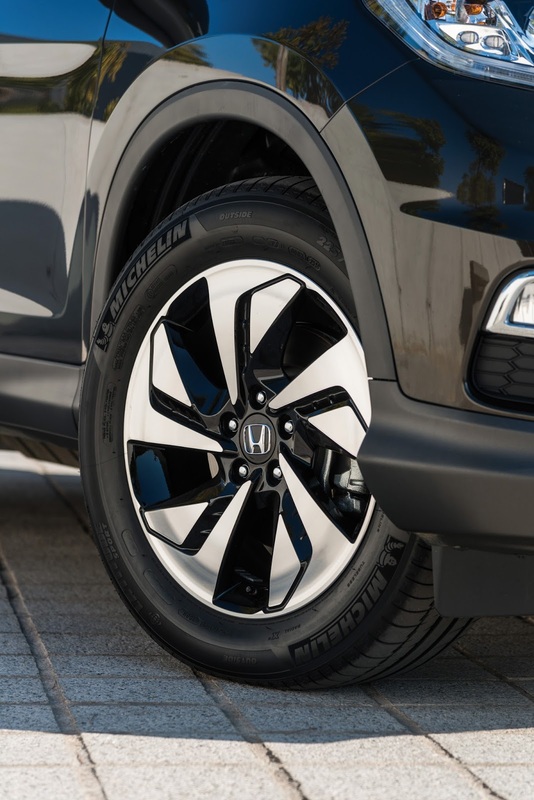 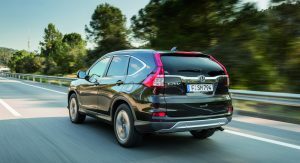 The automaker says the revised CR-V delivers better ride and handling thanks to new front suspension bushes, dampers and lower-arm knuckle geometry. 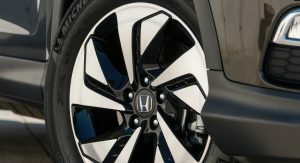 Additionally, the front and rear track have been increased by 15 mm, and camber angle is up by half a degree to further aid stability. 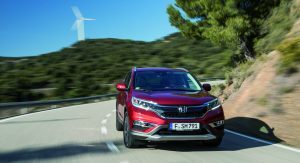 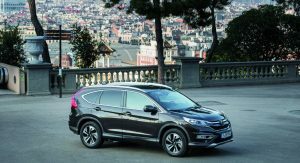 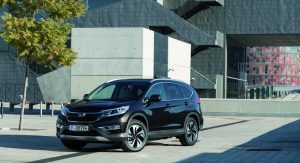 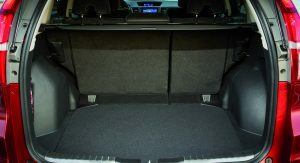 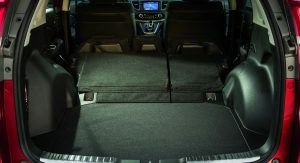 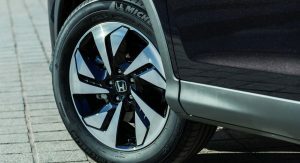 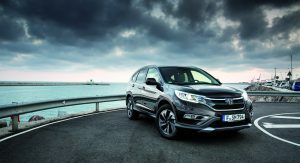 Honda also improved the steering ratio by 8 percent to offer a more responsive drive and made the cabin 6 percent quieter by implementing a number of NVH management measures. 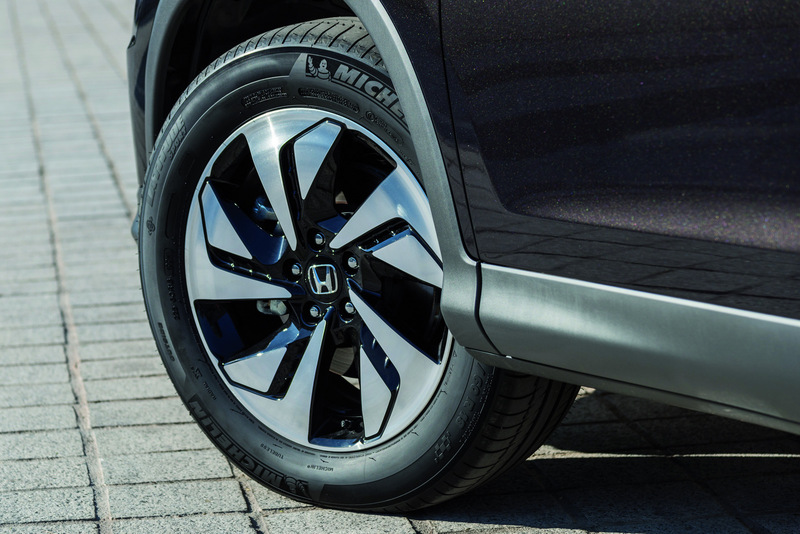 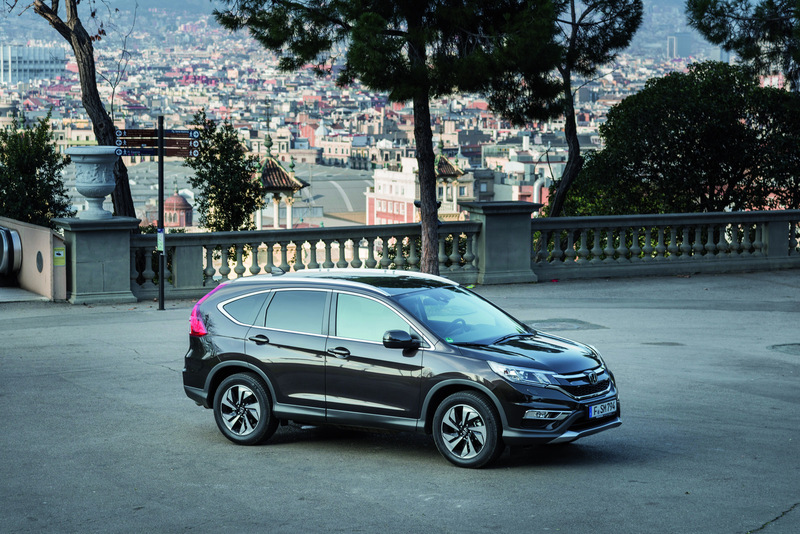 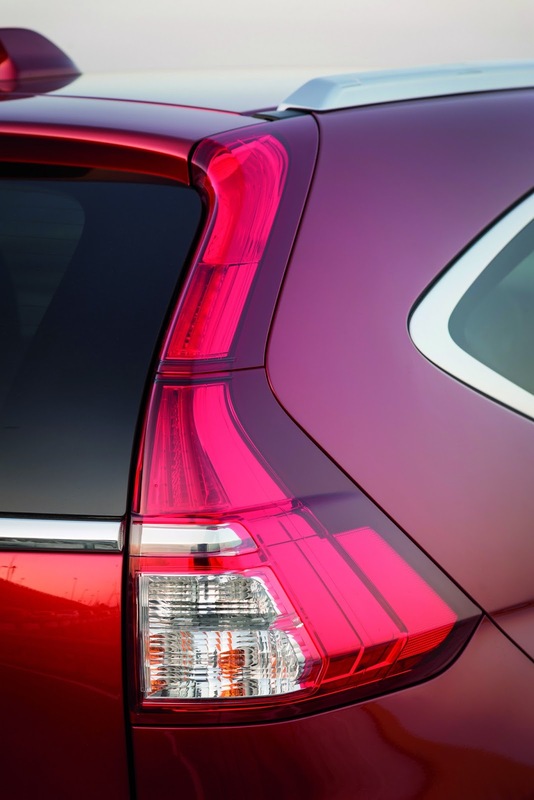 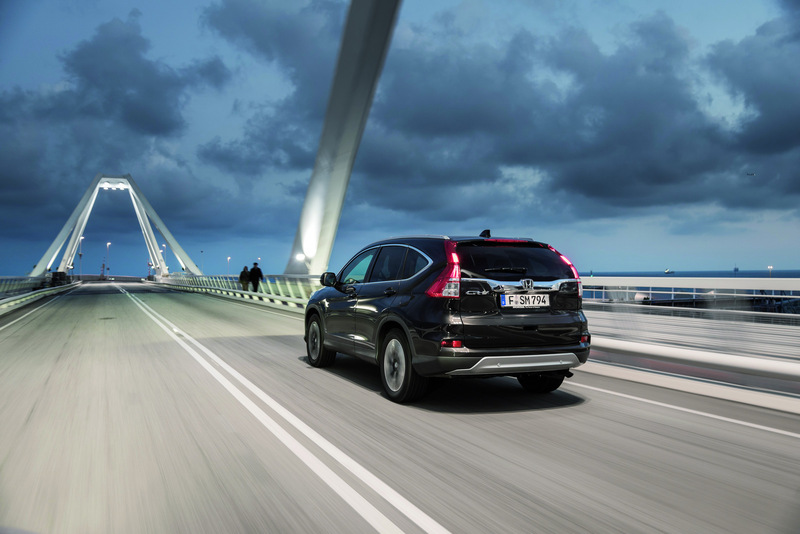 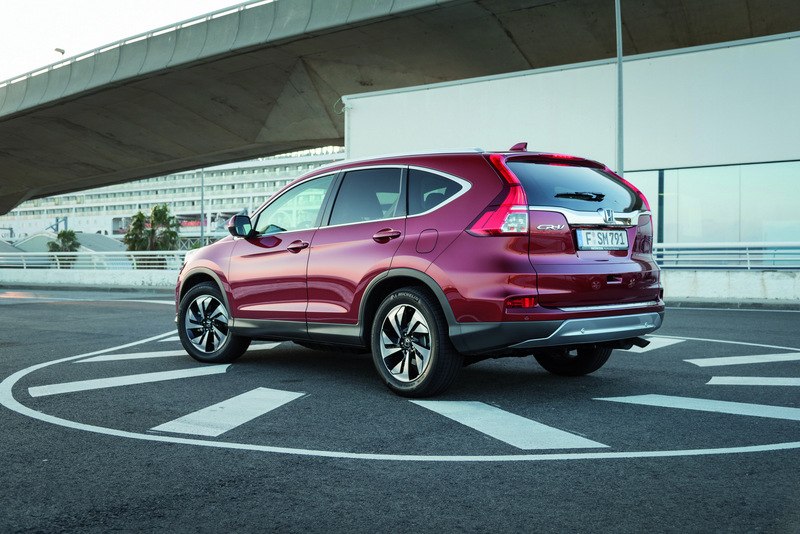 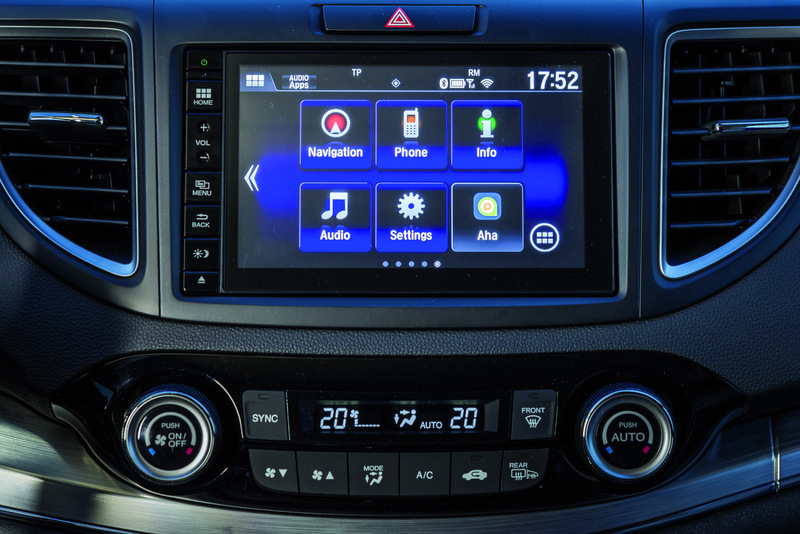 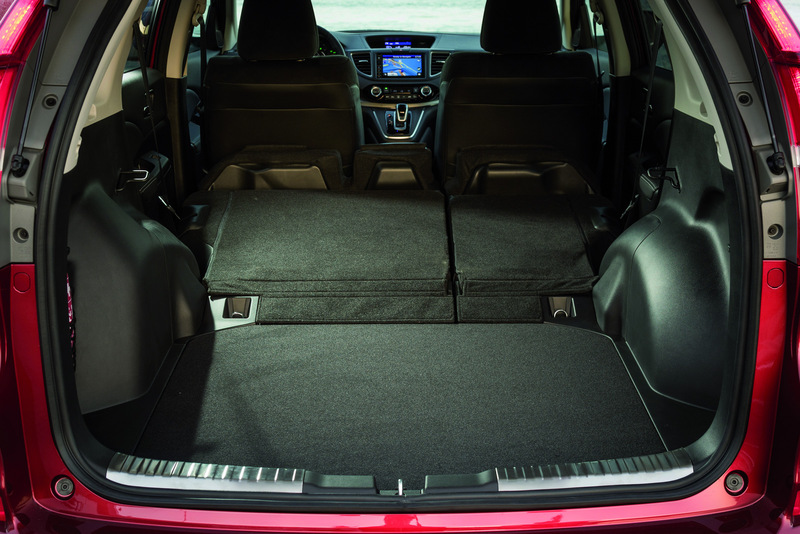 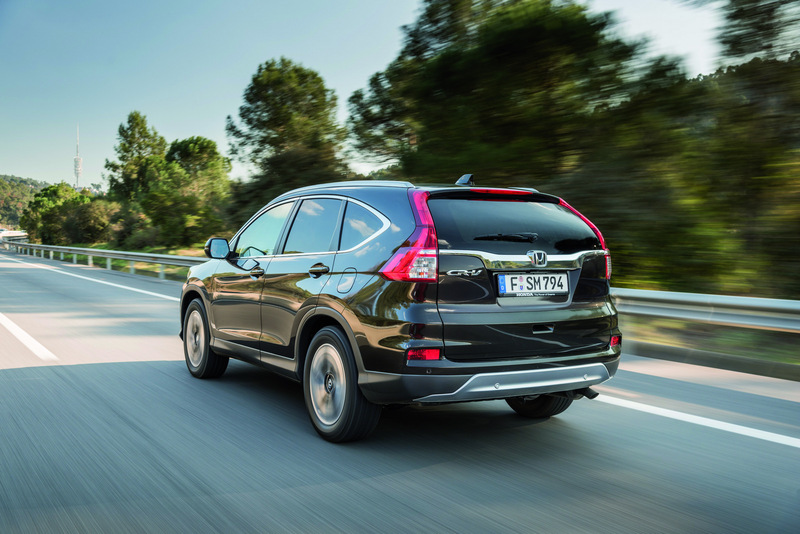 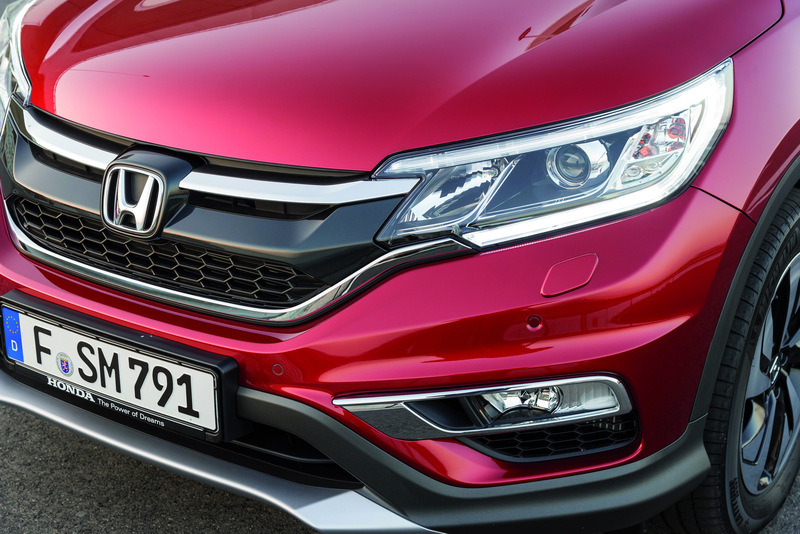 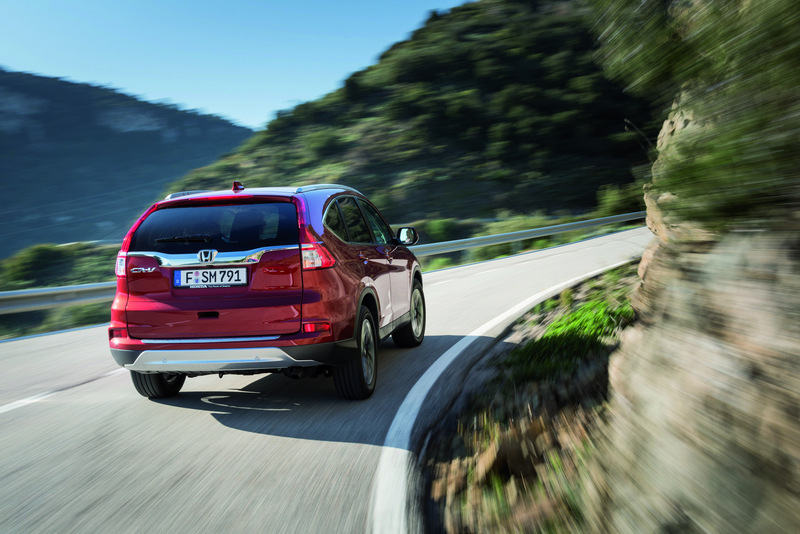 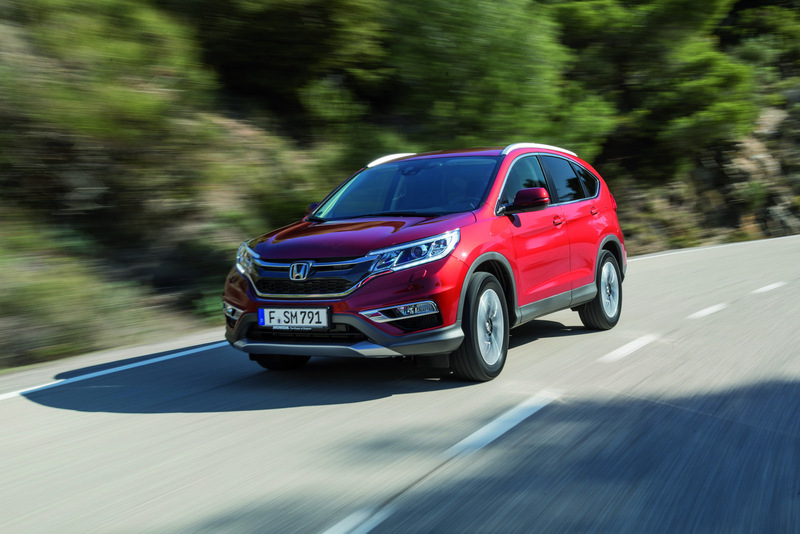 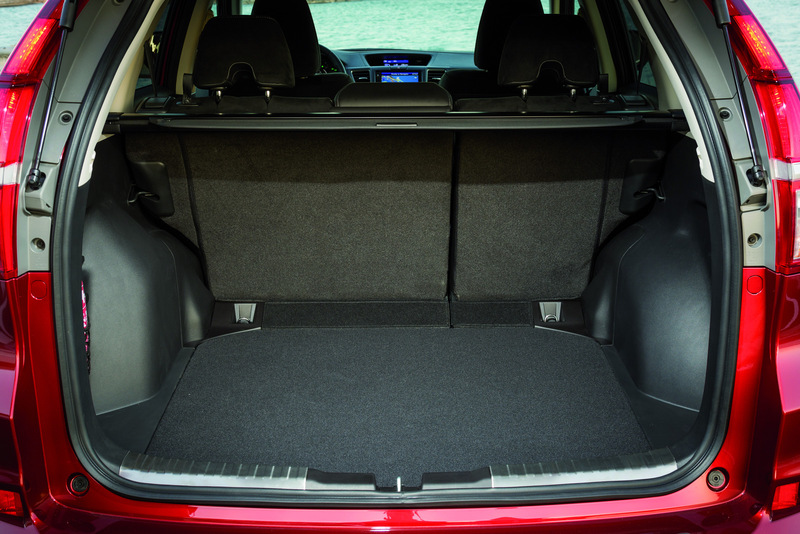 The 2015 CR-V also gets the all-new Honda Connect in-car audio and information system. 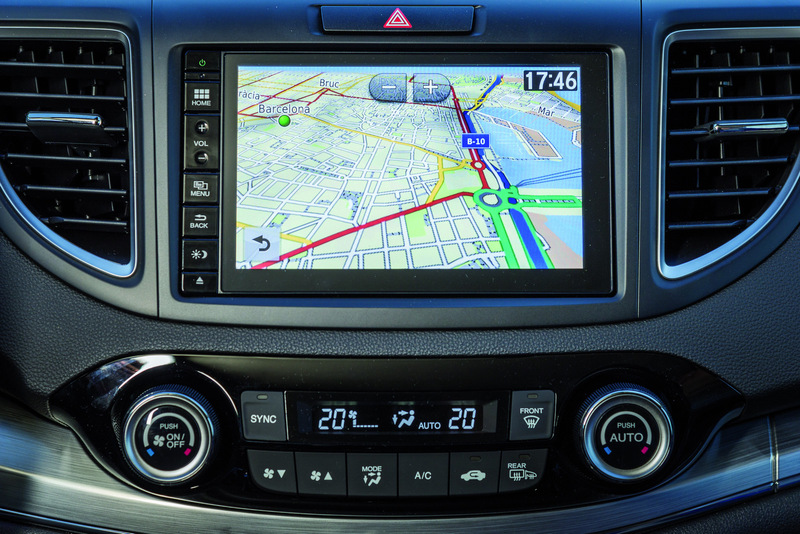 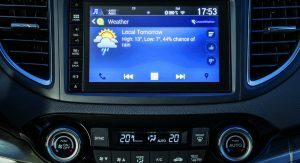 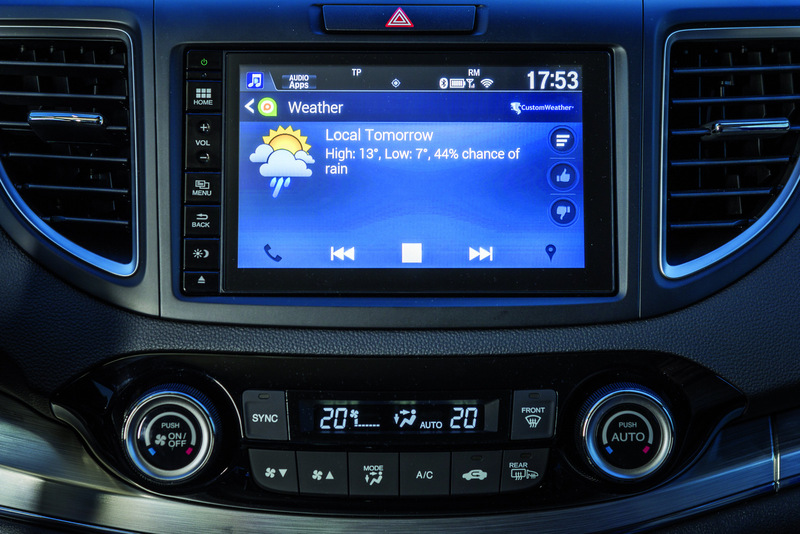 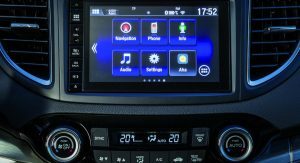 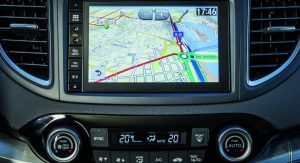 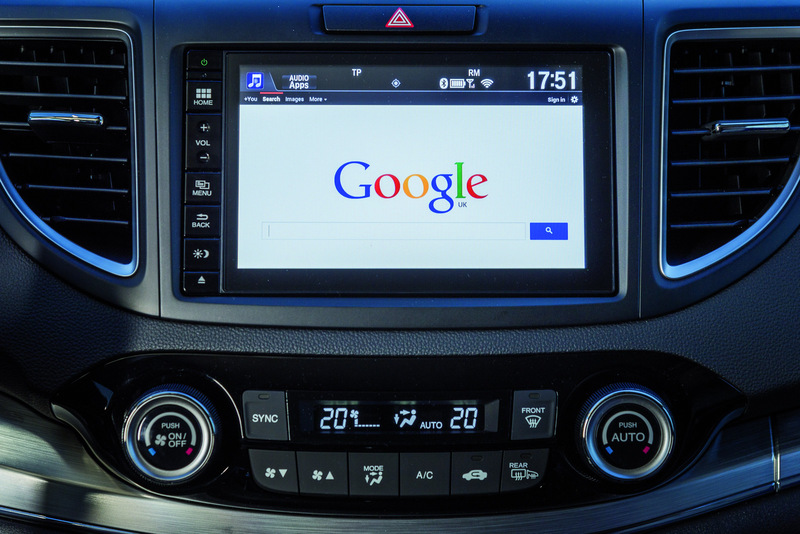 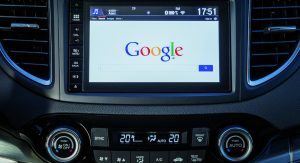 Offering convenience and connectivity while on the road, the system’s key features include DAB / FM / AM and internet radio, Bluetooth connectivity, internet browsing, satellite navigation and rear-view parking camera. 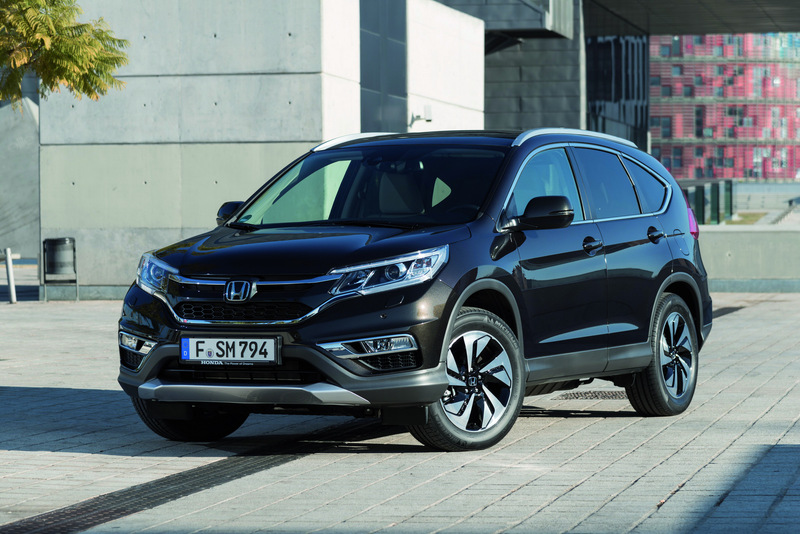 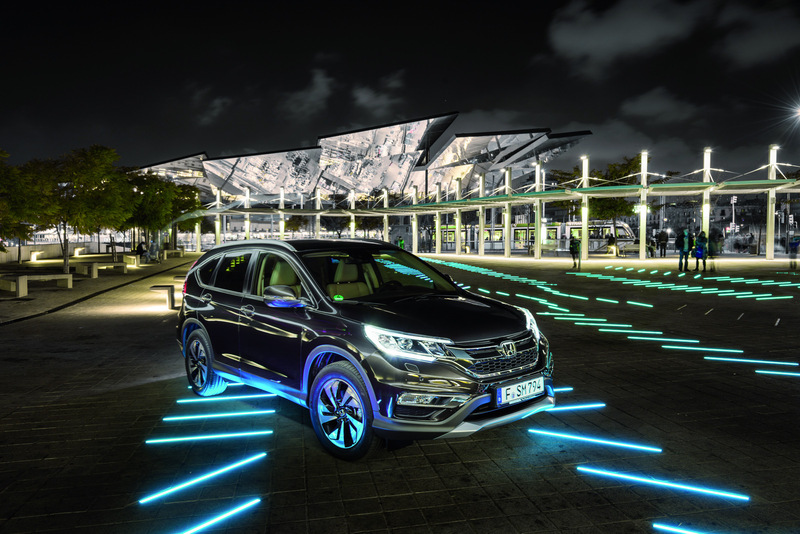 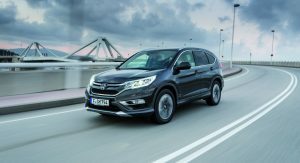 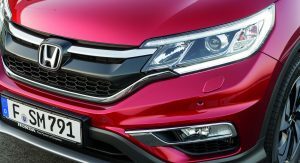 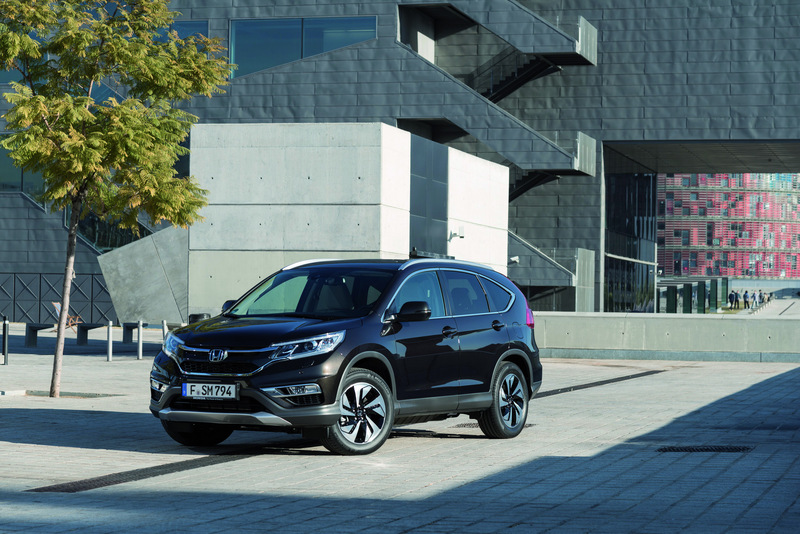 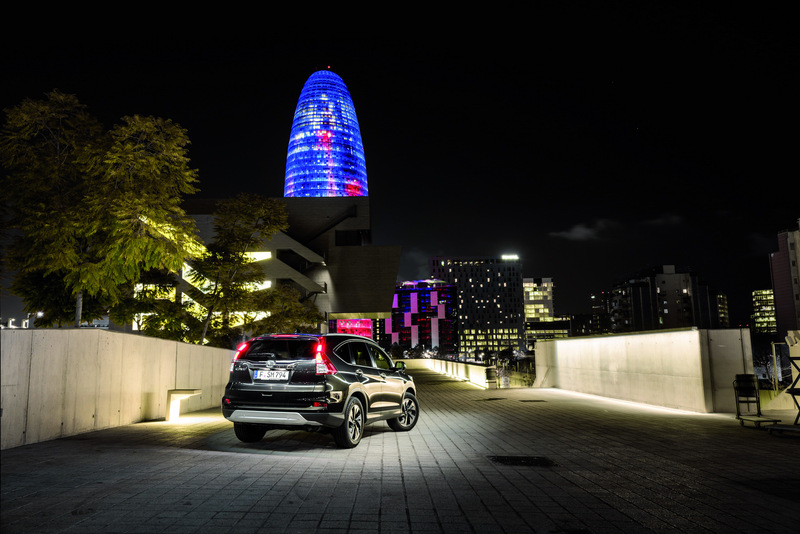 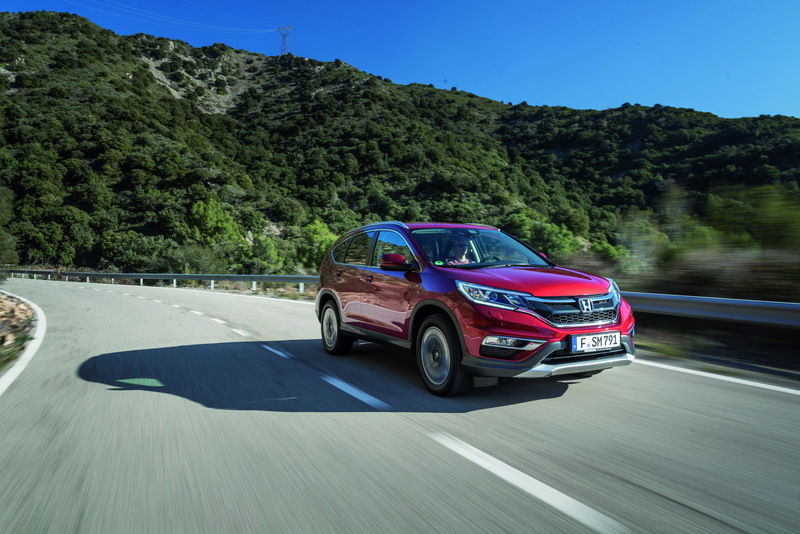 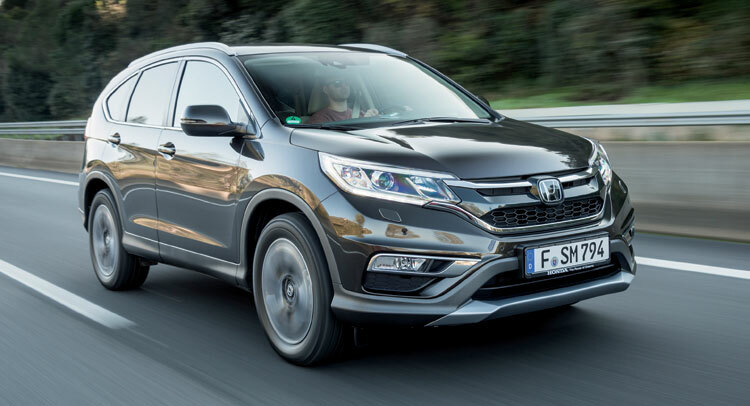 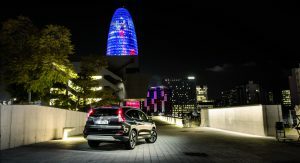 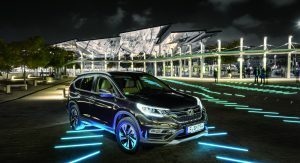 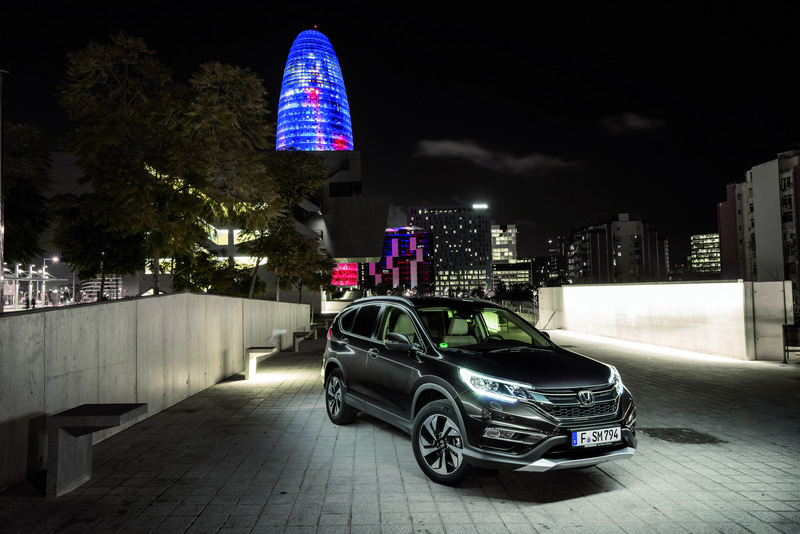 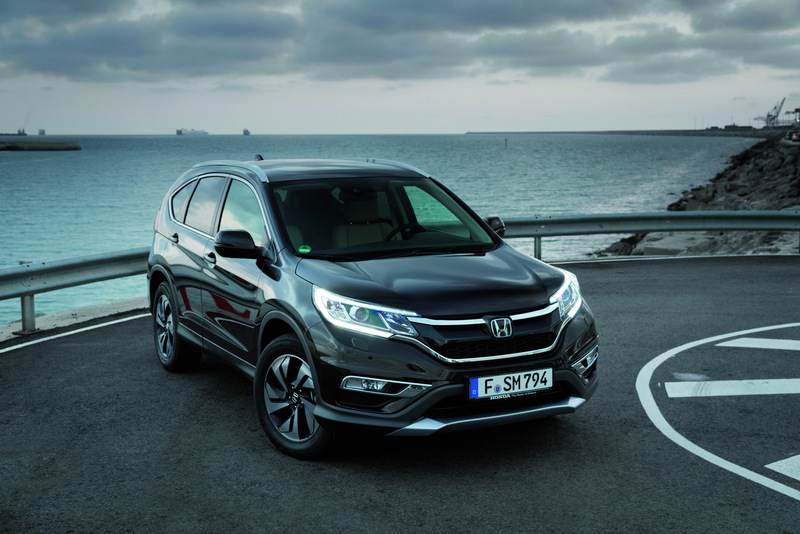 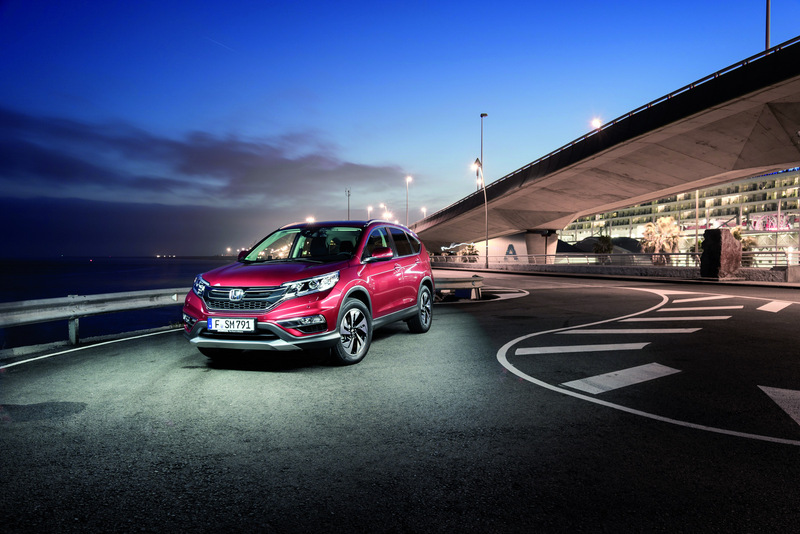 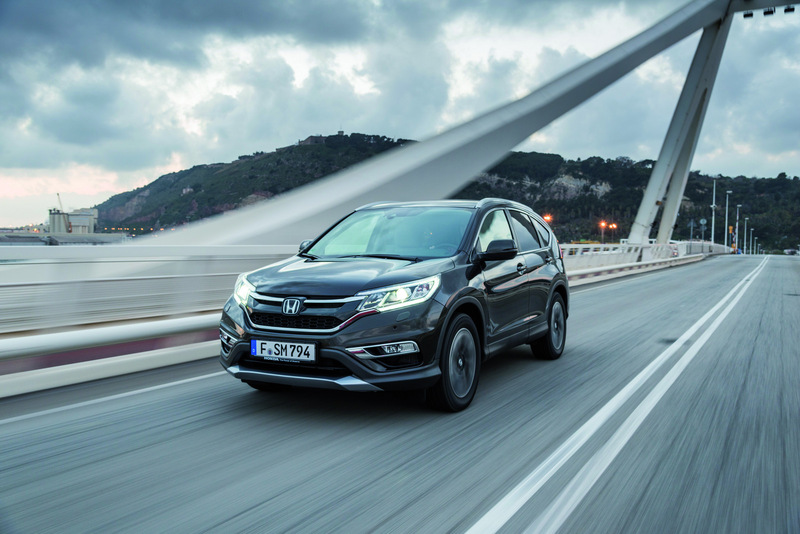 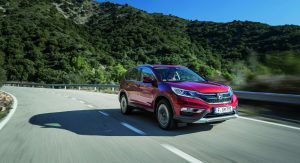 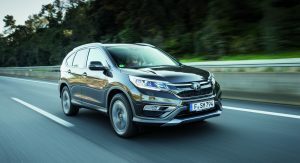 Finally, the facelifted CR-V also premieres Honda’s new Intelligent Adaptive Cruise Control (i-ACC) system that is capable of predicting and automatically reacting to other vehicles ‘cutting-in’ to the vehicle’s lane. 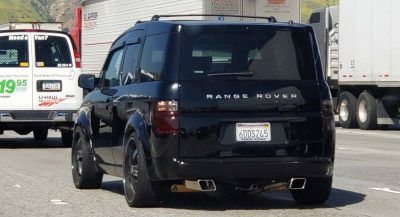 How can I get the stick shift version in the U.S.?